As a web ­based platform, Gynzy is a time management dream for me. Any teacher who utilizes an interactive whiteboard can relate to the archaic habit of developing lessons, saving them to a memory stick (or emailing them to yourself), remembering to bring the memory stick to class (oops, I’ll be right back) and then pulling up the lesson from your memory stick or email to deliver it to your students. Wow, did I really have to do that before Gynzy? Now, all my interactive whiteboard lessons are developed on Gynzy and pulled up directly from the website, from any computer, in any classroom. For this reason alone, I’m a Gynzy convert and will never be without a subscription to this service. Developing my own lessons is fast and easy with Gynzy, but having so many ready made lesson options and tools has made me look like I spend hours preparing for these activities. As a special education teacher of students with severe intellectual disabilities, finding lessons that are both engaging and educationally appropriate is a challenge, but Gynzy has something for everyone. Lyrics 2 Learn is a staple in my favorites. Who doesn’t like to sing about the Water Cycle? Or best friends? Students are reading and learning through catchy songs. 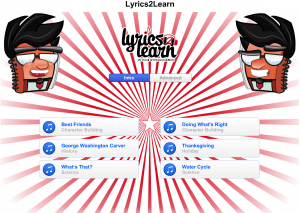 Each song and lesson also has a quiz to reinforce learning. Our Life Skills students need functional science, so science class consists of daily weather tracking and moon phases. 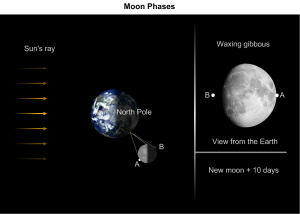 The Moon Phases tool shows my students why the moon looks like it does each night. They love to move the moon around the sun. Creating groups with Pick Your Partner is also an indispensable tool in my classroom. It takes seconds to decide how many groups I need, list the students in class and then Gynzy allows students to randomly organize into groups by choosing pictures. No hurt feelings, no groups are the same and no pressure to pick someone simply because of who or how smart they are. Sometimes, no matter how good teachers are at time management, there’s just a few minutes of extra time at the end of a lesson. Hangman with Your Own Words fills our time with an engaging activity supporting current vocabulary. I like to use words from student’s vocational experiences, seasonal words or words from the most recent Chapter book we are reading. In addition to the designed activities with specific fill in sections, Gynzy also gives you the ability to alter parts of each ready made activity to suit your classroom and your students if needed. I am always looking for ways to connect academics to real life content because this is how my students learn best. Gynzy’s partnership with CNN student news has made this easier for me. 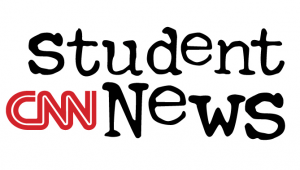 CNN student news is a 10 minute daily current event video designed for middle and high school students and can be accessed right from Gynzy. The simple, direct, consistent format allows my students to connect with local and global news with confidence. My students look forward to their 10 minutes with Carl Azuz, enjoy guessing the answer to the Shout Out, and can’t wait to be recognized on Roll Call. Gynzy has given me another resource to relate mathematics, language arts and social skills to real life with minimal preparation on my part. I’ve been a teacher long enough to accept Peter Greene’s truth. I don’t like it and I fight the battle of “enough time” everyday so that I don’t appear unprepared or without control. Gynzy has become an indispensable teaching partner for me by helping uphold the illusion that I really do have “enough time.” Thank you Gynzy, for making me look good.